This is a picture of my sister in her pointe shoes. 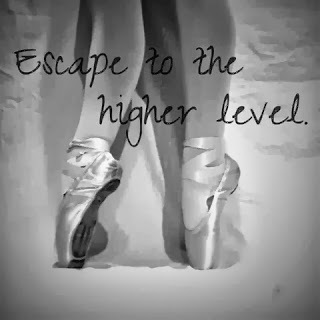 Her and I have been doing pointe for 3 years, I would say it has to be one of my favourite types of dance I do. The memoir was meant to tell the story of when I dance I can escape everything around me. I put the color to black and white because I like how the shadows of the pointe shoes are very noticeable. I used a font that was elegant and pretty just pointe dancing.